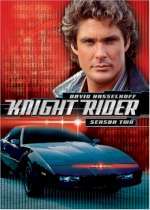 Knight Rider: Mystery and Suspense on Television. 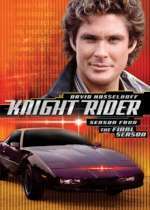 David Hasselhoff is Michael Long, a policeman left for dead but rescued by billionaire Wilton Knight who enlists the newly named Michael Knight to fight crime on his behalf. 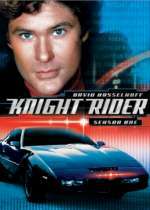 Knight is given a high performance and technologically advanced supercar, the Knight Industries Two Thousand (KITT), to aid him in his effort. 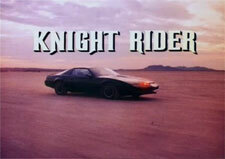 Knight Rider aired on NBC from September 1982 through August 1986 and included 90 episodes over 4 seasons. 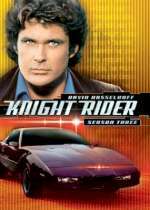 A made-for-television movie based on the series (Knight Rider 2000) aired in May, 1991. An update to the series was broadcast on NBC for one season (2008 / 2009). See Knight Rider 2008 for more information.